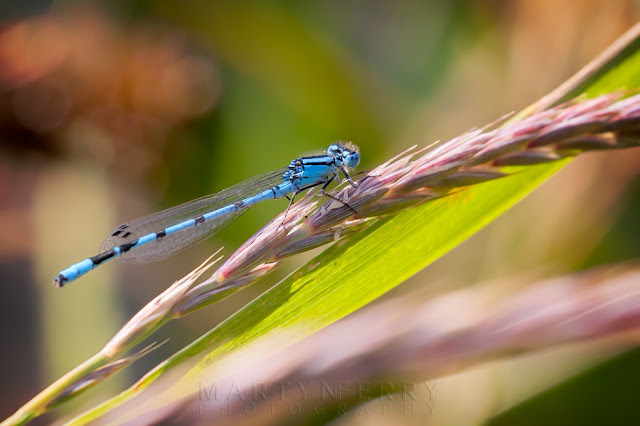 In my continuing quest to photograph some of life’s smaller participants, namely the multitudinous variety of insects that are scampering and buzzing about this time of year, I took another trip to Ouse Fen Nature Reserve, predominantly in the hope of encountering some dragonflies. If you’re a regular reader of this blog, you will no doubt recognise the name Ouse Fen, as I have been on several visits, for both the wildlife and the landscape. All of which can be found here, here, here and here. A long exposure of the lakeside reeds blowing in the stern breeze. In fact I took a couple of trips over there, as although I managed to get a couple of dragonfly shots on my first attempt, it was a challenge to say the least. 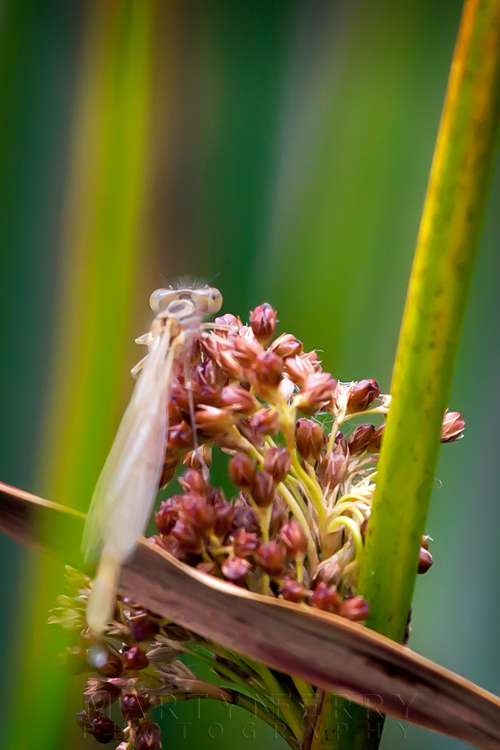 I had found myself a spot at the side of a large lake, among the tall, green stems, as I knew from experience that it was a popular place for the dragonfly community. But because they never settled, my only option was to try and catch them on the wing, and they do not hang about. 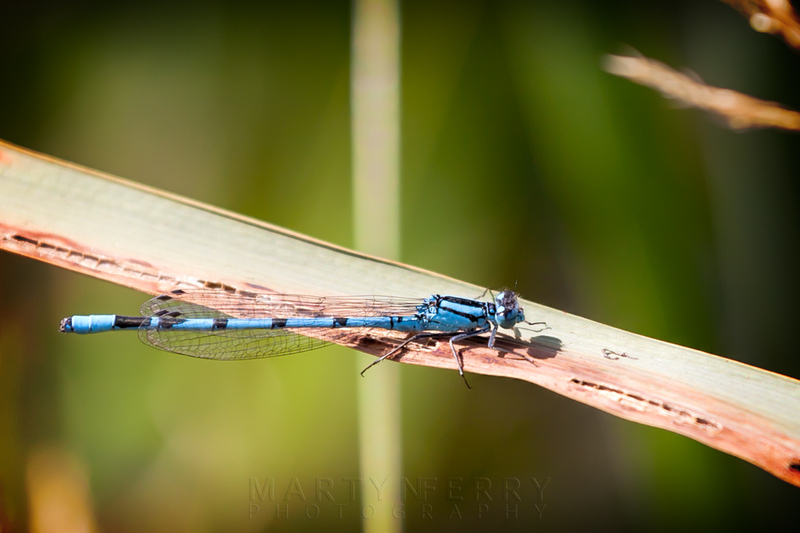 Common blue damselfly perched in the afternoon sunshine. 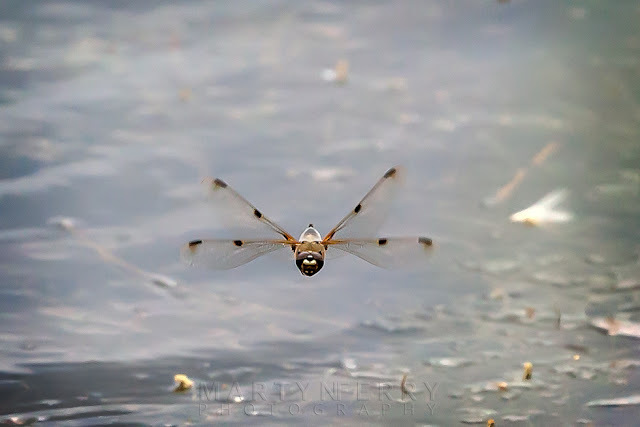 Dragonflies are impeccable aerialists, with extremely unpredictable flight patterns, the ability to control each of their four wings separately, they can change direction in a split second and are the fastest insects on the planet, clocking speeds up to 60mph. 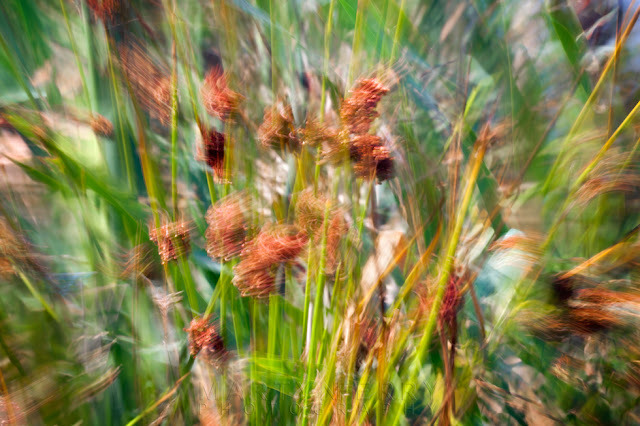 Unfortunately I have never been impeccable at anything, and attempting to photograph them was no exception. 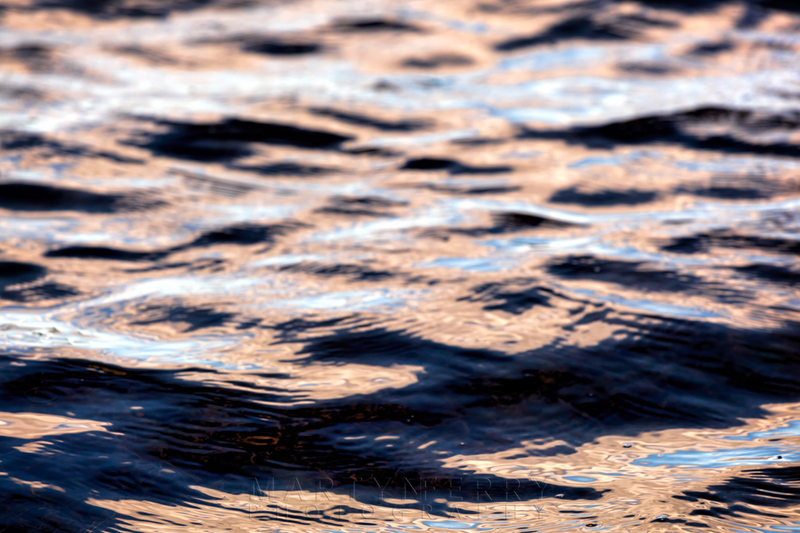 Ripples on the lake surface, coloured by the warm sunlight. 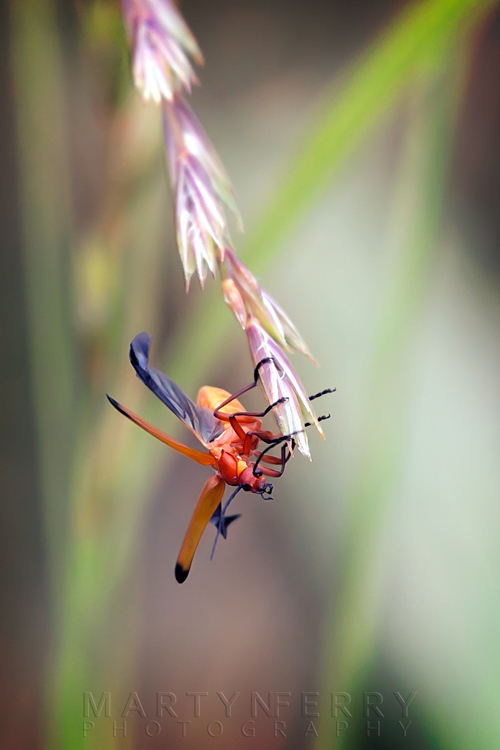 I did content myself with getting some shots of the soldier beetles that were clambering over the grasses around me, as I didn’t want to come away with nothing, but I was keen to go back and see if I would have better luck with a second try. 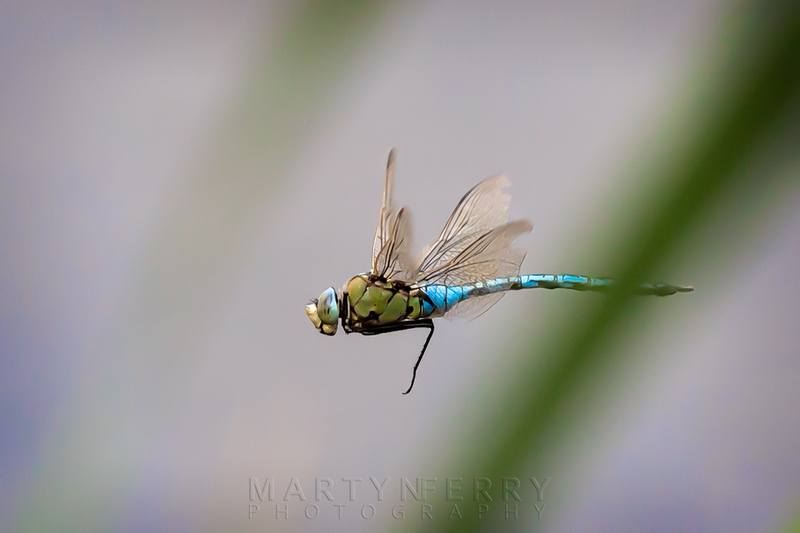 Male emperor dragonfly, one of Europe's largest species. So I did go back for another go, and I didn’t have any better luck. 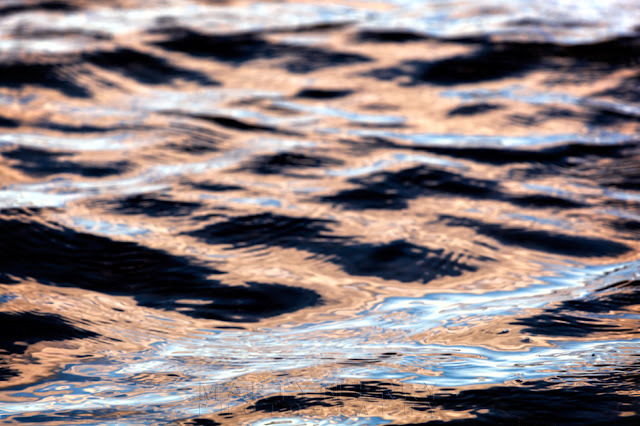 In fact I had no luck at all, as the day I visited it was blowing a rather stiff breeze, and they did not like that at all, so they kept well away from the water’s edge. 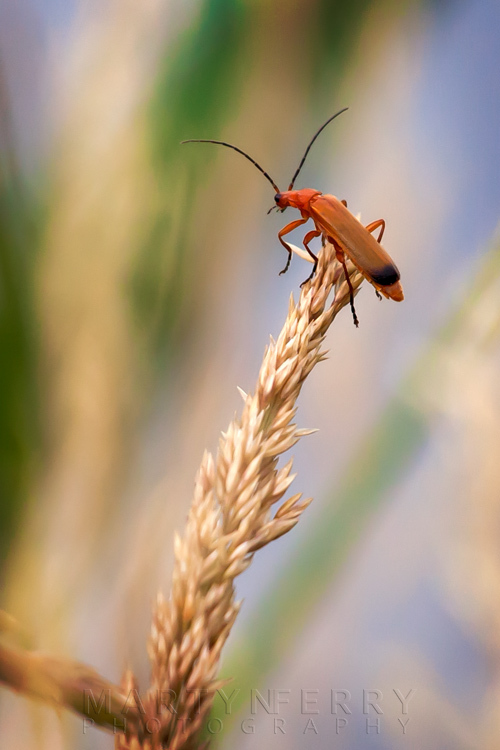 Soldier beetle unfurling its wings and about to take flight. I had made the effort to get over there so I wasn’t going to leave empty handed, so I amused myself with getting some abstract shots of the reeds blowing in the wind, and ripples on the surface of the lake. 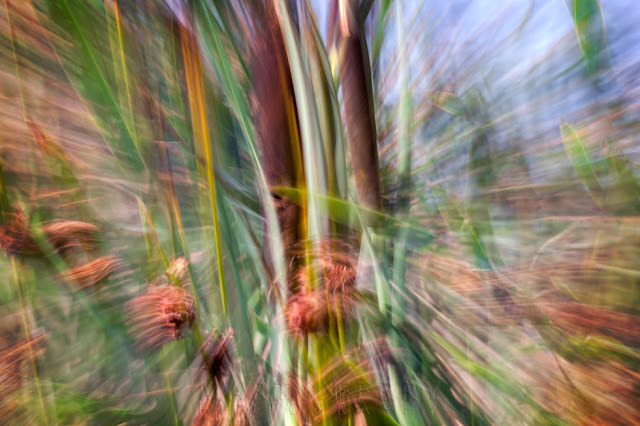 This was a combination of a long exposure and a zoom blur, just to really make things messy. The upside of the blustery conditions though did bring the damselflies to ground, usually they are skimming across the top of the water in their thousands, but they decided to wait out the breeze among the vegetation on the shore. So once I had settled down, it wasn’t long before there were hundreds of common blues clinging to the herbage all around me. than her more vibrant sisters. 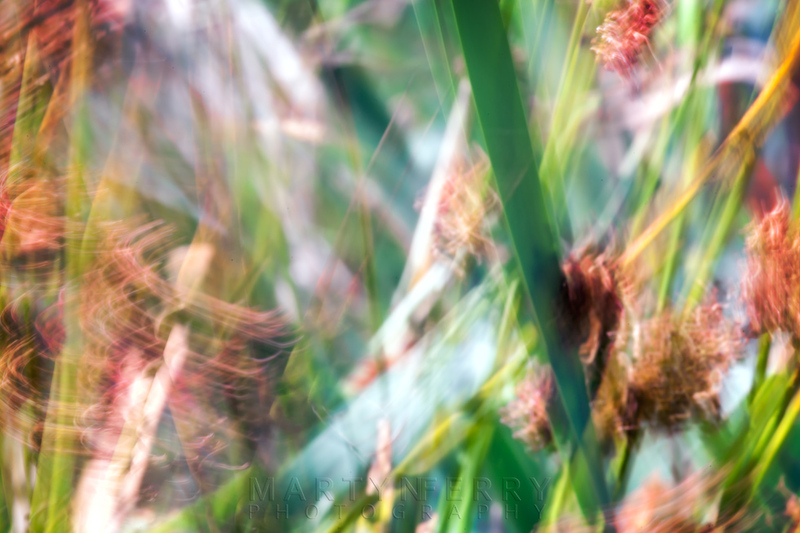 It was quite a sight, all those little electric neon batons perching at right angles on the surrounding grass stems, so I took the opportunity to get a few shots, while they were being relatively compliant, as I knew dragonflies were off the table. Not sure what type of dragonfly this is, I'm pretty sure it was yellow, but it's hard to tell from this angle. So I ended up with a rather eclectic mix of shots in the end, but I haven’t given up on those bejewled masters of flight just yet. 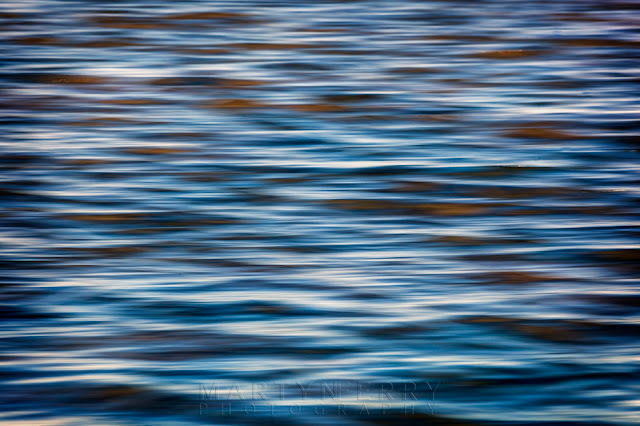 Abstract water, and why not. Another common blue at rest. 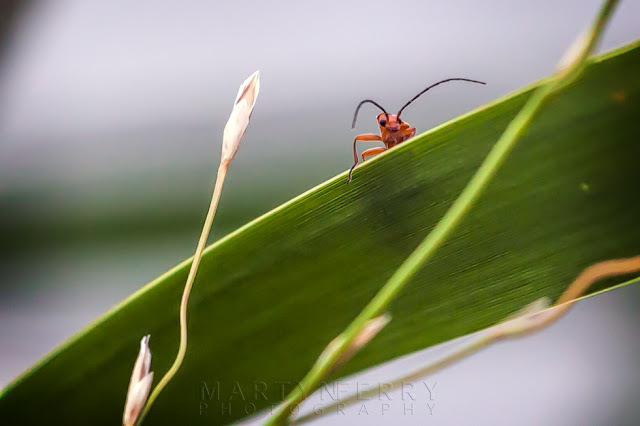 This soldier beetle looks like its scouting the surrounding area. Long exposure pan blur image of the lake surface. 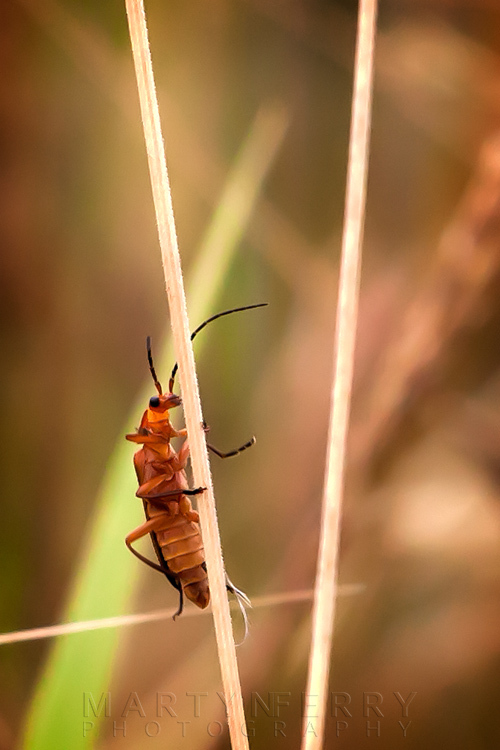 And a final shot of those rather photogenic little soldier beetles.